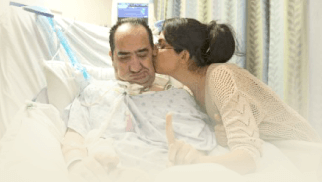 The top 3 mistakes you are making in family meetings with the Intensive Care team! Family meetings in Intensive Care are events that have been specifically set up by Intensive Care teams to further intimidate and scare you! If you are not already struggling by being outside of your comfort zone, by feeling vulnerable, by feeling frustrated and anxious, a family meeting with the Intensive Care team is probably the last thing you and your family need! Intensive Care teams have been and are conducting family meetings in Intensive Care 7 days a week, 365 days a year and they know when to ask for a family meeting, they know what to say in a family meeting, they know when to say it, they know how to say it and they know what not to say. They also know where to hold a family meeting so that they can “play on home ground”, so to speak. Overall family meetings in Intensive Care are nothing less than cementing and further displaying the “perceived power” and the “perceived authority” of the Intensive Care team. In a family meeting with the Intensive Care team, you are basically told “ what you and your family need to expect” as it relates to the critical illness of your loved one! 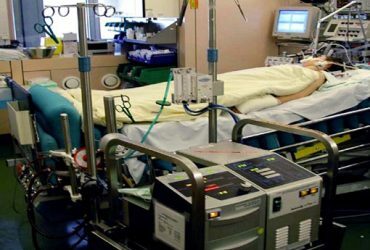 99% of the families of critically ill Patients in Intensive Care who make no informed decisions, have no peace of mind, no control, no power and no influence are blindly going into family meetings with the Intensive Care team and have no idea what to expect or how to position themselves and their critically ill loved one. The Intensive Care team on the other hand is the master at positioning themselves and positioning your critically ill loved one’s diagnosis, their prognosis, as well as the care and the treatment your critically ill loved one is receiving or not receiving. So let’s get into today’s topic! 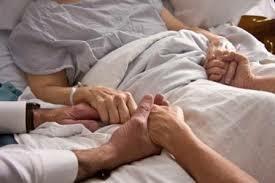 In those difficult and challenging situations, when your critically ill loved one could potentially be “knocking at deaths door” there is a high chance that the Intensive Care team will ask you for a “formal family meeting”. As I said in the quote in the beginning- most- if not all family meetings in Intensive Care are just set up to cement and further display the “perceived power” and “perceived authority” of the Intensive Care team. 99% of the families of critically ill Patients in Intensive Care make no informed decisions, they have no peace of mind, no control, no power and no influence! They also don’t know and don’t expect that the Intensive Care team may ask for a “formal family meeting” with you. The fact of the matter is that the Intensive Care team will ask for a family meeting when it’s convenient for them, not when it’s convenient for you! How do I know and why should I be telling you all about family meetings in Intensive Care? After more than 15 years Intensive Care nursing in three different countries where I literally worked with thousands of critically ill Patients and their families and where I have been actively involved in dozens of formal family meetings in Intensive Care I think I have a duty to share with you the lessons that I have learned! I have also worked as a Nurse Unit Manager in Intensive Care for more than five years and I have been in many formal family meetings, in both capacities, as a bed-side ICU nurse and as a Nursing Unit Manager in Intensive Care. I know the subject matter well. In any case, most families of critically ill Patients in Intensive Care have no clue when first going into a “formal family meeting” with the Intensive Care team and therefore they really don’t know what to look for or what to expect and they are making a lot of mistakes without knowing that they are making those mistakes in the first place! with the Intensive Care team that I have seen over and over again! 99% of the families of critically ill Patients in Intensive Care make no informed decisions, have no peace of mind, no control, no power and no influence! When the Intensive Care team first asks for a “formal family meeting” with you and your family, your alarm bells need to go off and you need to be on high alert! Why would they ask you for a “formal family meeting”? To deliver you good news? because they want to deliver bad news and they have found that now is the time to put their cards on the table and put pressure on you and your family to agree to certain terms and conditions that are extremely important to the Intensive Care team. Most of the time it’s all about positioning. Unlike you and your family, the Intensive Care team knows how to position your critically ill loved one’s diagnosis, their prognosis, as well as their care and their treatment! In fact, the Intensive Care team is the master at positioning your critically ill loved one’s prognosis, their diagnosis as well as their care and treatment that your critically ill loved one is receiving or not receiving. They position your critically ill loved one’s diagnosis, their prognosis as well as their care and their treatment in a light that suits the Intensive Care team and their mainly hidden agenda. 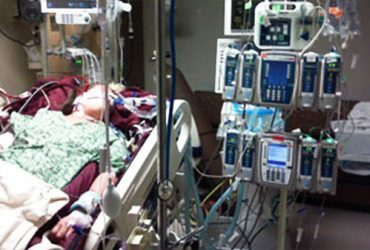 If you are like 99% of the families of critically ill Patients in Intensive Care, you make no informed decisions, you have no peace of mind, no control, no power and no influence! I have seen this over and over again! Unless you know what you are doing and unless you and your family know what to expect and unless you know how you need to position yourself, as well as how to position your critically ill loved one’s diagnosis, their prognosis, as well as the care and treatment of your critically ill loved one, you stand very little ground in those meetings and you’ll get walked all over. because of their perceived poor prognosis. 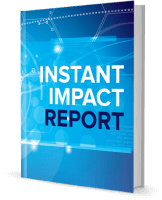 because I had successfully intervened and I knew how to successfully position my Client’s case and get the outcome that they wanted. Here is the next mistake that 99% of the families of critically ill Patients in Intensive Care are making! As I said in the beginning, 99% of the families of critically ill Patients in Intensive Care don’t see a “formal family meeting” coming. They are often surprised, shocked and uneasy about one of those meetings! Once you are clear on this, then you can confidently go into a “formal family meeting”. Once you are clear on this you will also walk into a family meeting with more confidence. It will show in your body language, it will show in your Physiology and it will show in your Psychology and in your mental state. The Intensive Care team will notice! But worst of all, besides 99% of the families of critically ill Patients in Intensive Care not making informed decisions, having no peace of mind, no control, no power and no influence you keep following the Intensive Care team’s lead! 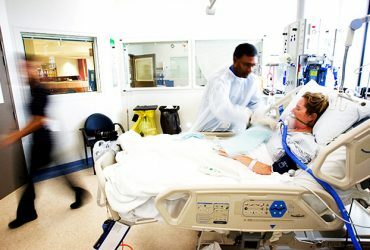 Now, if you want to get outcomes and results quickly, if you want to make informed decisions, get peace of mind, control, power and influence quickly and most of all if you want to challenge the Intensive Care team and have care and treatment for your critically ill loved one on your terms you need to seek expert help! You need to seek expert help from somebody who knows Intensive Care inside out. Somebody who understands your needs, as well as the situation your critically ill loved one is in, but also somebody who understands the dynamics, the psychology, the hierarchy, the politics and what’s happening “behind the scenes” in Intensive Care. You need somebody who understands both worlds, your world, your critically ill loved one’s world and the world that is Intensive Care! You need to dive deeper into the material around critical illness and Intensive Care, as well as the politics and the dynamics around it. FOLLOW THIS ULTIMATE 6 STEP GUIDE FOR FAMILY MEETINGS WITH THE INTENSIVE CARE TEAM, THAT GETS YOU TO HAVE PEACE OF MIND, CONTROL, POWER AND INFLUENCE FAST, IF YOUR LOVED ONE IS CRITICALLY ILL IN INTENSIVE CARE! And even if you chose not to engage my services, there is plenty of free information available on my website INTENSIVECAREHOTLINE.COM and there is plenty of free information available through my newsletter, where I answer real questions from real people and where I help them making informed decisions, get peace of mind, get power, get control and get influence when they are faced with one of the biggest challenge of their entire lifetime, having a loved one critically ill in Intensive Care!